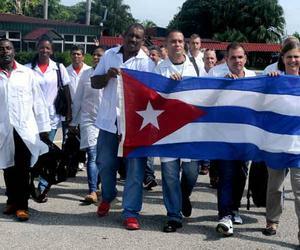 The Cuban government decided to send a medical brigade to Haiti, taking into account the dire affectations caused by Hurricane Matthew that hit the Caribbean nation last October 4. According to Granma newspaper the 38-strong brigade is part of the Henry Reeve International Contingent of Doctors Specialized in Disaster Situations and Serious Epidemics. These health personnel have great experience in the hygienic-epidemiological field. The group is made up by three doctors, ten hygienic-epidemiologic majors and 10 technicians, among others.